Herman Cain has Mumbled too much about Abortion. If he is not more careful, he may abort his candidacy. 1. Should the Federal Government fund abortion, should the states and what would he do about it? 2. Should the Federal Government prohibit all abortions, can it do so under the U.S. Constitution and what would he do about it? 3. Should the individual states prohibit all abortions, can they do so under the U.S. Constitution and what would he do about it? 4. Should the Constitution be amended to allow the absolute prohibition of all abortions and what would he do about it? 5. How important are the separation of the three branches of the federal government and non-interference with the actions of the states and what would he do about it? It took some rather dense questioning, but he seems eventually to have made this point: it could be a very difficult decision; people make lots of very difficult decisions. If a pregnant woman were to decide to have an abortion contrary to law, having the abortion could subject her to criminal prosecution. That she made a difficult choice would not be a defense to the criminal charges. At least I think that’s what he means. the attending physician, in consultation with his patient, is free to determine, without regulation by the State, that, in his medical judgment, the patient’s pregnancy should be terminated. If that decision is reached, the judgment may be effectuated by an abortion free of interference by the State. The Supreme Court has not backed off from this position. Questions whether the capacity of a not-yet-viable fetus to feel pain can be considered by the states as a basis for prohibiting abortions earlier than post-viability. A statute enacted by Nebraska in 2010 purports to give it the ability to prohibit abortions at any time from first twenty weeks after conception until the child is born. The statute is based on medical findings that a twenty week old fetus can experience significant pain while being aborted. This is an evolving area of the law and medicine. The question of when viability occurs is also an evolving area of law and medicine. As technology improves, it may be decided that, under the principles of Roe v. Wade, the time at which a state can prohibit abortion will get closer to the date of conception. The Court relied on this finding and held that once a fetus has been delivered to a position where the head is to be crushed, the fetus has been delivered “for the purpose of performing an overt act that the [doctor] knows will kill [it].” The Court held that there is sufficient federal interest in protecting medical ethics to prohibit it. Mr. Cain should support a federal prohibition of non-intact abortions as well. There, the fetus is destroyed prior to delivery no less brutally; both procedures are equally gruesome, inhumane and unethical. Mr. Cain should modify and clarify his positions. Short, reflexive off-the-cuff sound bites are inadequate to present, clearly, a candidate’s views on anything more complex than the wonders of motherhood and apple pie. Sometimes, even clear answers to specific questions are interpreted out of context and thereby distorted. That’s among the problems inherent in the recent candidate debates. When a candidate’s views are murky even to him, he cannot present them clearly. On a contentious matter such as abortion the situation is worse than with many others because it is fraught with legal, ethical, emotional, moral and religious concerns. Mr. Cain has tried occasionally to clarify and consolidate his abortion position but he needs to do more. The confusion and attacks continue despite his October 20th attempt noted at the immediately preceding link; for example, here, here, here, here, here, here and here on October 23rd and October 24th. It should be clear that in his heart he is very opposed to abortion; he seems to have been clear on the point in his wallet as well, having used his own funds to urge Blacks to vote pro-life in 2006. Still, voters, the media and even opposing candidates need unmistakable keys to understanding his heart — and not only those in what are currently key states. In formulating and expressing his heartfelt views, Mr. Cain should consult with attorneys, physicians and probably a pastor or two in deciding how his views can best be expressed accurately and clearly. Also of great importance, he must understand and clearly express what he, as President, could and would do. Recently, he apparently said that if a constitutional amendment banning abortion were to come to his desk, “I’ll sign it. That’s all I can do. I will sign it. 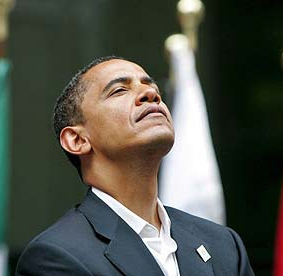 . . .” However, he won’t be able to do that; constitutional amendments are not signed by the President. The Congress and the states accept or reject them. What Mr. Cain Should Say. This is the guts of what he should say — perhaps in a speech the advance text and full verbatim transcript of which are made available. Mr. Cain has not yet said many of these things with adequate clarity. Apparent changes in position are usually seen as political attempts to hide real views and whore for votes. I do not think that Mr. Cain has been whoring for votes but a popular perception seems to be growing that he has; his views at least seem to be in flux. I may be wrong as to what they are, but believe that the statements offered below should reflect his views after he thinks about them some more and stops speaking off the cuff; after a statement has been made, attempts to say what he really meant don’t go over well. Should he not clearly express his views and be elected, he will not meet popular expectations and his presidency will be seen as a failure. 1. I oppose all federal funding for abortions. To the extent within my power as President, I will make such funding cease. I will veto federal spending provisions purporting to authorize it. Except to the extent that federal laws prohibit abortions, it will not be my position as President to try to stop any state from spending its own funds to provide or otherwise to finance abortions. Article II of the Constitution does not give that power to the President and the Tenth Amendment denies it to the federal government. 2. I will support a federal law prohibiting abortion in circumstances where there is a federal interest, such as I believe exists in prohibiting late term, also referred to as partial birth, abortions. I disagree strongly with the position President Obama has stated on this matter. I will support an exception where such abortions are medically necessary for the survival of the pregnant woman because I understand that such circumstances are very rare, that partial birth abortions are late term, long after after viability and well along in the period when a fetus can experience pain. I also understand that this exception is the least permissive required by Supreme Court precedent. It is pointless to enact a law only to have it struck down by the Supreme Court. Here is a thought for those who favor permitting late term abortions but who oppose the death penalty even by lethal injection due to their perception that a to-be-executed-criminal will thereby experience pain. I see either a gross inconsistency or a belief that society must be more solicitous of condemned murders and rapists than of fetuses. I disagree with them. 3. As President, I will not challenge the constitutionality of state laws prohibiting some or all abortions. Not only do I favor the prohibition of abortion, I do not consider interfering in such matters a proper presidential function. Nor will that be a function of my administration. In making their laws, the states consider their constitutionality under their own separate constitutions and also under the United States Constitution, which is the supreme law of the land. When there are questions concerning the legitimacy of state laws under the United States Constitution, it is the proper function of the Supreme Court — not the President or his Executive Branch — ultimately to resolve them. If there are meritorious challenges to the constitutionality of such laws, those presenting them do not need and will not receive the assistance of my administration. If and when the force of Roe v. Wade and its progeny is changed by further Supreme Court action or by constitutional amendment, I will, as I must, accept the then final decision of the Supreme Court or whatever the constitutional amendment says. Whether I like or dislike the result. It is wrong for the President to disparage an action of the Supreme Court or of a state government. It is also counterproductive as well as pointless. I believe that President Obama overstepped the bounds of his office when he disparaged the Supreme Court’s first amendment decision in the Citizens United case — before a joint session of Congress with six Supreme Court Justices in attendance. His remarks went far beyond the pale. I shall not make such forays into the affairs of the states or the wisdom of Supreme Court decisions. When I consider that an act of Congress is unconstitutional or stupid, I shall veto it. If the Congress then passes it over my veto, I shall execute it faithfully as I am obligated to do. 4. I hope to see an amendment to the United States Constitution prohibiting abortion sent to the states and ratified. Constitutional amendments are very difficult to pass. I shall not propose an amendment because I do not consider that a proper function of the President. They need no presidential action but do require action by the Congress and the states. If an anti-abortion amendment is proposed as provided in Article V of the Constitution, I shall support it if there are reasonable chances of passage by two-thirds of both houses of Congress and ratification by three-fourths of the states. Currently, neither seems very likely. 5. I am convinced that the separation of federal powers as specified in the Constitution is legally necessary and, to the extent followed, has been beneficial historically. I am also convinced that the functions of the states in our federal system as provided for in the Constitution are legally necessary and, to the extent followed, have also been beneficial historically. I shall resist efforts to abrogate those separations of function and power. If Candidate Cain does something like this soon, some on the left, on the right and in the middle will probably find his position too strong or too weak. However, it’s better to know his positions now rather than to find out later, after he assumes office. His statements would also bind him to specific positions, something most candidates do not want to do. Tough. He as well as the other candidates should feel compelled to do just that. This entry was posted in Abortion, Conservatives, Constitution, Herman Cain, Republican Debates. Bookmark the permalink. 13 Responses to Herman Cain has Mumbled too much about Abortion. Pingback: Opinion Forum » How Do You Solve a Problem Like Herman Cain? 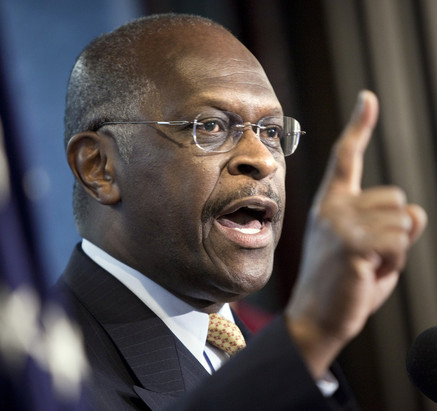 Pingback: Opinion Forum » What Could Herman Cain Have Done to Revive His Damaged Candidacy? Our views on abortion need not be stifled by the law, but our actions have to be if we are to be a nation of laws. The presidential candidates can debate the morality of abortion to their hearts’ content, but should also be realistic about what they, as President, would be able to do about it. There is much on the abortion front as to which the President can take realistic action: federal funding for abortion is one, laws prohibiting most late term abortions is another. Both are very important. What I cannot understand is this: Why does someone’s views on abortion have to be stifled in the name of the “Law” or fear of intimidation, or stimied as a “moral” position? The way money is spent is a moral position, the way the gov’t is run is a moral position, yet, when the issue of abortion comes along, candidates become limp and impotent because they do not want to stand up to doing what’s right. Bush stood up and voted and signed executive orders outlawing Partial Birth Abortion in his first days of office. Mr. Cain, shame on you for not voting your conscience and pandering to the fear that you may offend someone. The main Person you should be offending is the One whom you tend to call a Savior. You will not get this nomination, which would be a total shame, if you continue to pander to the masses. Stand up and be counted. Lincoln stood up against Slavery, which was a moral atrocity. Why won’t you stand up against this century’s moral apostacy, instead of having some type of moral disfunction. Stand up and be counted, Sir. Let the chips fall where they may, otherwise YOU will be the reason why we have 4 last years of this country under Obama. You, not the voting public. You. Nuff said.